Great for history buffs, Nha Trang is home to remnants of the Champa Kingdom, Buddhist temples, and gothic-style Catholic churches while natural hot springs, salt fields, and unique waterfalls offering a myriad of sightseeing and recreational activities. 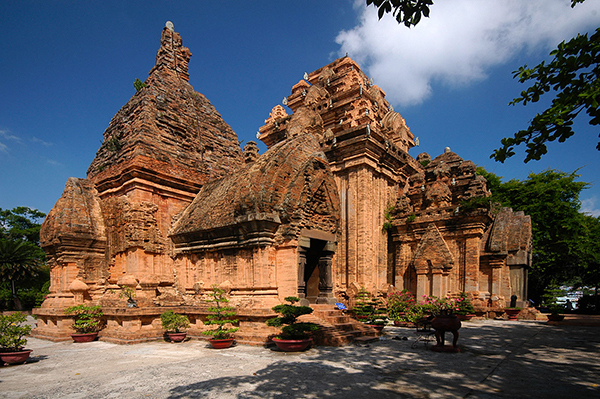 Po Nagar Cham temple complex was built between 8th and 11th centuries by the Cham people who once ruled the central plain of Vietnam. The towers were built to honor the Goddess Po Nagar- literally translated as ‘The Mother of the Country’ – who is said to have taught agricultural and weaving skills to the Cham people. Later, historians have come to identify Po Nagar with the Hindu goddesses Bhagavati, the wife of Shiva, and Durga, the buffalo-demon slayer. All the towers are a square red brick structure with protruding support frames and tapering roofs. There were once ten buildings, each dedicated to a different deity, but now only four remain. The tallest building, at 25 meters, named the Po Nagar Kalan, is the most impressive in the temple complex. Here, Po Nagar was worshiped and, according to historical stone inscriptions, animal sacrifices were made in her honor. To the center of the complex stands a tower of Cri Cambhu, goddess of fertility. The other two temples are the shrines of the Hindu gods Shiva and Ganesh, respectively. Po Nagar Cham Towers are situated on the high ground of Mount Cu Lau on the bank of River Cai, a few kilometers north of the city center. It opens daily at 7.30 a.m and 5 p.m. Located in Cau Da, Nha Trang, the National Oceanographic Museum of Vietnam offers interesting exhibits of local marine life, including over 20,000 life and preserved marine specimens. Open to the public since 1922, the institute also sponsors ongoing research and community projects, such as captive breeding programs, preservation, and regeneration of local coral reefs. The collection of this museum is so extensive that it spans two floors within a French colonial building in Cau Da. The ground floor houses glass tanks of various sizes filled with marine life such as reef sharks, turtles, scorpion fish, anemones, puffers, and lionfish as well as coral reefs and seaweed from many parts of the world. For clarification, each tank is also labeled with the name, origin, and characteristics in Vietnamese and English. Meanwhile, the upper floor of the museum features thousands of preserved specimens, animal skeletons, local boats, and fishing artifacts. One of the highlights of the museum is the skeleton of a humpback whale, which was excavated in the Ha Nam Province back in 1994. The specimen measures at 18 meters in length and 18,000kg in weight. Also on display here is the skeleton of a dugong that was excavated in Con Dao back in 1997. 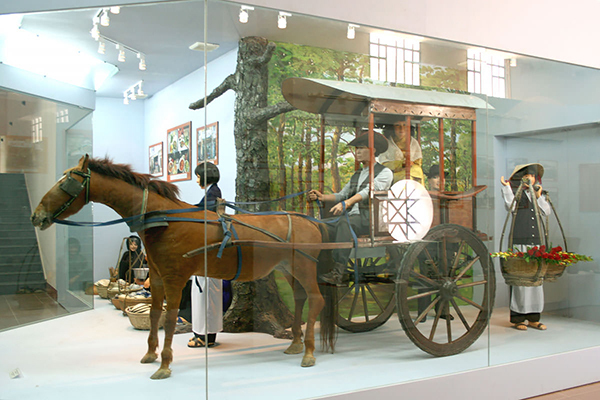 Visitors can also enjoy several themed exhibitions of the institute’s development in research equipment and technology as well as rooms that illustrate natural disasters, sacred legends and traditions, and fishing culture in Vietnam. Opening time: from 6 a.m to 6 p.m in all day. 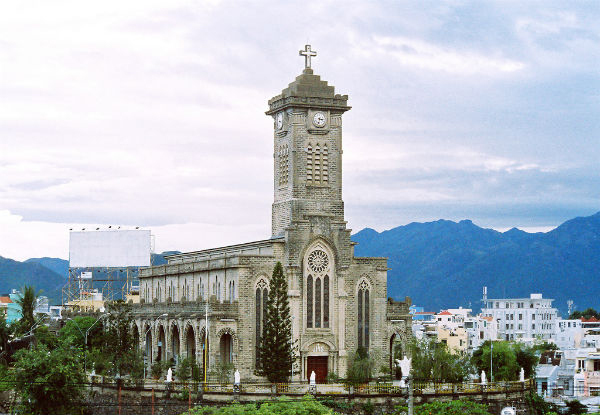 Nha Trang Cathedral is the largest church in the city. Set atop a hill that overlooks Nha Trang Train Station, it was constructed in provincial French Gothic style by Priest Louis Vallet during the early 19th century. Nha Trang Cathedral serves the local Catholic community, with Mass being held at 5 a.m and 6.30 p.m on a daily basis. Being a popular spot for wedding and landscape photography, Nha Trang Cathedral is made entirely of stone and features beautiful stained glass windows, as well as a square clock tower that’s surmounted by a large crucifix. Its three cathedral bells, which were cast in France in 1789, are still in working order. There are also hints of Vietnamese influences to the structure, such as pink backlight on the tabernacle, red neon light outlining the crucifix, blue neon on the arch, and a white neon-lit halo atop St. Mary’s statue. Outside the Cathedral of Nha Trang, it is decorated with numerous statues of saints as well as 4,000 tombstones mounted on the sides, which were placed after the neighboring cemetery was leveled in 1988 to extend the city train station. Nha Trang Cathedral is considered as the most priority to visit on your trip to the city due to the important remnants of French architecture. Visitors can explore the cathedral in every day at 5 a.m to 5 p.m from Monday to Saturday, and between 4.30 a.m and 8.m on Sunday. 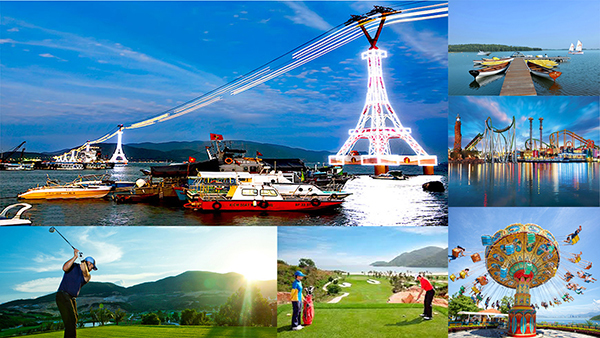 Vinpearl Amusement Park, situated on an island across the bay from Nha Trang Beach, is a large-scale theme park featuring water slides and games, a large aquarium, a wave pool, and a variety of rides. The Park is reached by a cable car that connects Nha Trang City to this island resort. The 3,320-metre long ride offers dazzling views of the bay, a promise of the fun-filled day that is to follow. Vinpearl Amusement Park attracts visitors from a variety of water slides with names like ‘space hole,’ ‘tsunami,’ ‘black hole,’ and ‘kamikaze’. The 900-metre long ‘lazy river’ features gentle floating along while wearing a swimming ring, and the ‘wave pool’ emulates different sea conditions, from choppy to very stormy. The very young have their own kids’ pool with chairs and umbrellas for supervising parents. 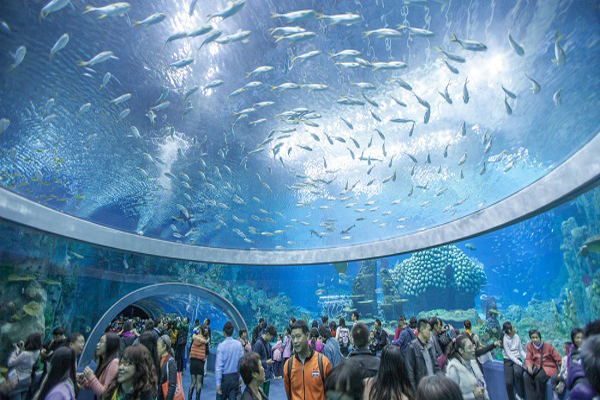 An impressive 3,000sqm aquarium, or ‘underwater world’, has a tunnel with a motorized walkway through which visitors can admire no less than 300 species of colorful fish. This modern and beautifully kept aquarium are claimed to be the biggest of its kind in Vietnam. The usual theme park rides are featured here too, from the speedy roller coaster to the gentle carousel rides for the young and not-so-young. Some games are housed in the artificial mountain arcade. For meals, Vinh Xanh restaurant serves a variety of fast food including fruit juices and drinks. Nearer to the beach, the Food Village offers a set menu and a-la-carte dishes from its terrace overlooking the sea. If you want to get away from the bustle, the 400-metre long sandy beach which is part of the amusement park is the place to relax and watch the sunset. There is a shopping mall with an array of boutiques selling anything from brand clothing items to jewelry and local handicrafts and souvenirs. A day pass offers unlimited entry to all rides, games, and aquarium and includes a round-trip on the cable-car and the Vinpearl-owned ferry. It opens all day of the week at two different times: at 8 a.m to 9 p.m from Monday to Thursday, and 8 a.m to 10 p.m on the other days. Long Son Pagoda is situated on the foothill of Trai Thuy Mountain. The temple is famous for its large white Buddha statue, which sits atop the mountain crest and can be seen from anywhere in town. Built in 1886 in the style of Taoist architecture, Long Son Pagoda has been home to many high-ranking Buddhist monks. The Vietnam Buddhist Studies Foundation was founded here in 1936. After being destroyed by a cyclone in 1990, the whole complex was rebuilt at the present site further down the hill. 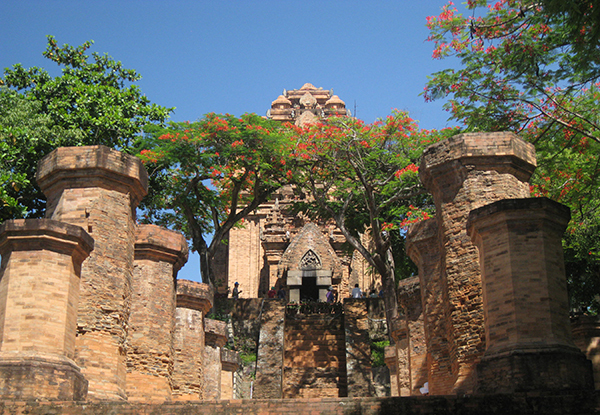 In its attempt to recreate the exact replica of the old temple, Long Son underwent many restorations and additions, interrupted at times by the Vietnam War and civil unrest. The white Buddha image was constructed much later in 1964. Today, Long Son Pagoda boasts beautiful and unique turn-of-the-century Taoist architecture characterized by the embellishment of mythical animals and sculptures of Taoist gods. It is also a working monastery complete with a school for monks in its grounds. An impressive three-tier roofed entrance, decorated with mosaic dragons, leads to the large temple grounds decorated by potted topiary. Behind the temple, 152 steps lead to the main attraction of Long Son Pagoda, the 24-metre tall white Buddha image seated on a lotus throne. Around the corner, there is a large reclining Buddha whose back panel features a bas-relief representation of the monks and nuns who died in the late 1950s while protesting against the corrupt US-backed Diem regime. 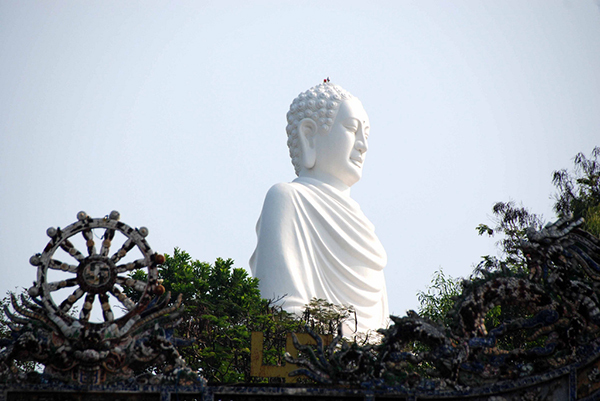 From the platform at the base of the white Buddha, visitors can enjoy a bird’s eye view of Nha Trang and the sea beyond. Long Son Pagoda & White Buddha is located at Thai Nguyen Street, Nha Trang and opens at 7.30 a.m to 11.30 a,m and 1.30 p.m to 5.30 p.m everyday. Located in Ngoc Son Street, Ngoc Hiep Ward, Nha Trang, Thap Ba hot springs center is one of the greatest places to relax after a day exploring the city, it is also a good choice for temporary retreating away from the bustling city. The hot spring center is fitted with private and shared mud-baths, herbal-bath, Jacuzzi, waterfall, swimming pool, and sauna. Locals believe that the natural hot mineral springs help detoxify and soothe fatigued muscles, remove dead skin cells, and supply minerals to the body. Meanwhile, mineral mud is said to contain antiseptic properties which are used as a facial mask to treat acne and revitalize the skin. Moreover, Thap Ba Hot Springs Centre offers a variety of services and treatment packages at different price levels. A basic mud bath package comprises a 15-minute mineral mud bath in the communal pool, and a 30-minute soak in naturally hot mineral water, followed by a hydrotherapy session using warm or cool mineral water. If you’re willing to splurge for privacy and luxury, Thap Ba Hot Springs Centre has VIP rooms that are fitted with indoor mineral water bathtubs, swimming pools, Jacuzzis, and inclusive of body massages, acupuncture therapy, and beauty services. You can visit the hot spring center at 7 a.m to 7 p.m daily. 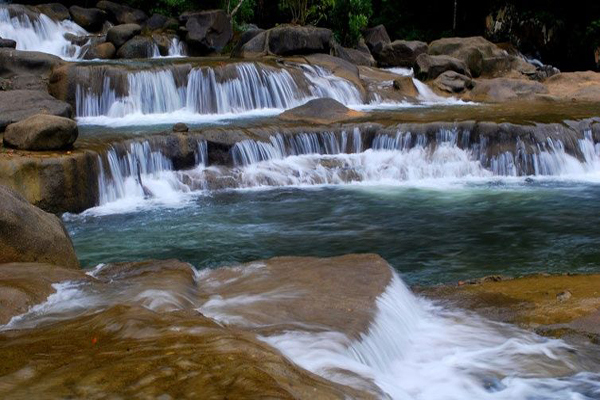 Situated in Ninh Ich, Ninh Hoa district, 20 km north of city center, Ba Ho Waterfall is said to be the must-visit destination on traveling Nha Trang with three natural waterfalls that end with a clear lake surrounded by a dense rainforest as well as activities like hiking, swimming, picnic sand fishing. The waterfalls have been left in their natural state, for the most part, with several arrow pointers and cement steps set along the more challenging routes. From the entrance, it is a 30-minute walk through the foliage to the first waterfall before it becomes a challenging climb over large rocks to reach the second and third waterfalls. Make sure you are reasonably fit, wear proper shoes, and/or bring extra clothes before making your way here. Founded in 1990, the Alexandre Yersin Museum is set within the late French bacteriologist’s home in Tran Phu Street, hosting extensive exhibits of his personal belongings and laboratory equipment, as well as original letters and photographs from his travels around Vietnam. Affectionately called Ong Nam by locals, some of his vital contributions to Vietnam include the founding of Dalat, discovery of a vital plague-causing bacterium, and research on agricultural methods and meteorological forecasting. In 1895, he also founded Vietnam’s Pasteur Institutes, which is located in Nha Trang, Dalat, and Ho Chi Minh City. The establishments produce vaccines, coordinate vaccination and hygiene programs within the country, and also carry out medical research and testing according to European standards. In this small but well-kept museum, visitors can see hundreds of well-preserved letters, photographs, scientific instruments, and furniture such as his working desk and deathbed. There are also are four dioramas on display here, which was hand painted and donated to the museum by French high school students. In addition to the displayed artifacts of his scientific work, the Alexandre Yersin Museum also houses over 500 glass stereoscopic slides of his photographs of Vietnam’s ethnic groups. Visitors can also view a fascinating 3D photo viewer and a short film about Yersin’s life at the museum. It opens all day except Sunday, from 8 a.m to 11 a.m and 14 p.m to 4.30 pm.